He was named for Tintin’s fox terrier by an eight year old girl who was just starting to read Herge’s adventures. Her eyes lit up when she saw him for the first time, as if he’d jumped out of the pages of her comic book. He’d been rescued in Hollywood running across a busy main road, dodging traffic. He then found a true and happy lifelong home with a dancer and an artist. He was quite a dancer and artist himself. The first time he met the dancer he stood on his hind legs and performed a perfect pirouette. He performed with the Tiger Lillies, upstaging them with an inspired improvised comic gesture that brought the house down. They say he was more professional than them. He was well-travelled and when he wasn’t going off into the world for adventures the world came to him: bones from steak frittes in Paris were brought back to Los Angeles for him. He was smart. When he was first rescued he lived in a house with three big dogs, and a labrador who was a day-dog there. He thought rings round all of them. When his bed was taken apart after he moved to his new home it was found to be full of big dog biscuits he’d taken from the big dogs. 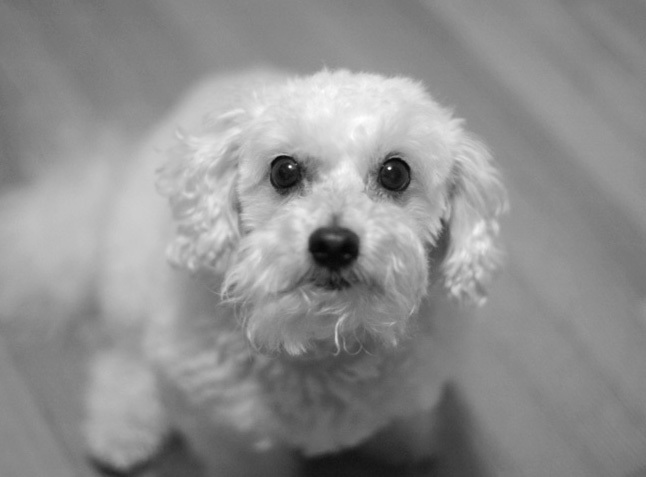 Snowy’s life was cut short yesterday by a devestating form of cancer. He was nine years old. 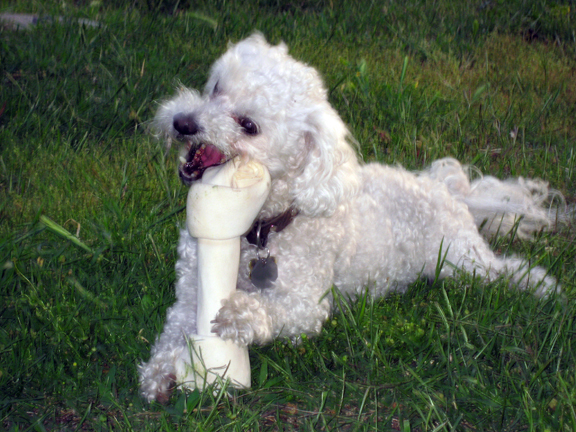 Snowy was a cocktail, some poodle, some terrier, all the smart and sweet characteristics of whatever breeds he was made up of. 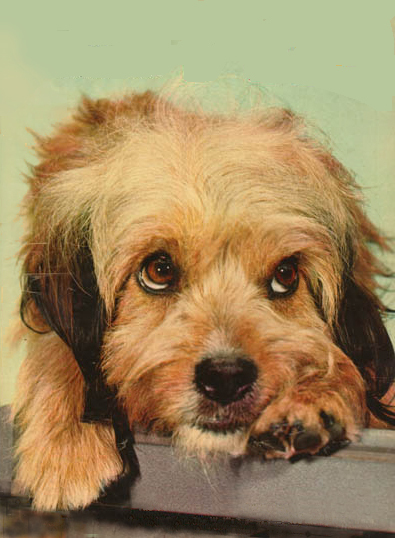 His phenomenal ability to learn new tricks, and to enjoy performing them for a crowd, reminded me of Higgins, a terrier mix known to the movie world as Benji, who also appeared in Petticoat Junction, Greenacres and the Beverly Hillbillies. He was “marked like a Border Terrier and Frank Inn, his trainer, believed him to be a mix of Miniature Poodle, Cocker Spaniel, and Schnauzer,” says his Wikipedia entry. Some of the best terrier stars started out as abandoned dogs. Higgins was rescued from the Burbank animal shelter. 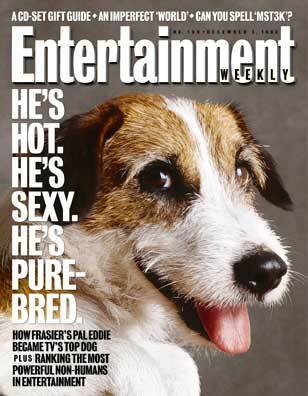 Moose, the Jack Russell who portrayed Eddie on on Frasier, was a wild puppy, and given away by his original owners. 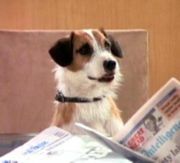 DeCagny has been quoted as saying that Moose was very highly trainable and won the role on Frasier after only six months of training. Moose had the ability to fix Kelsey Grammer with a long hard stare; this became a running sight gag on the show.